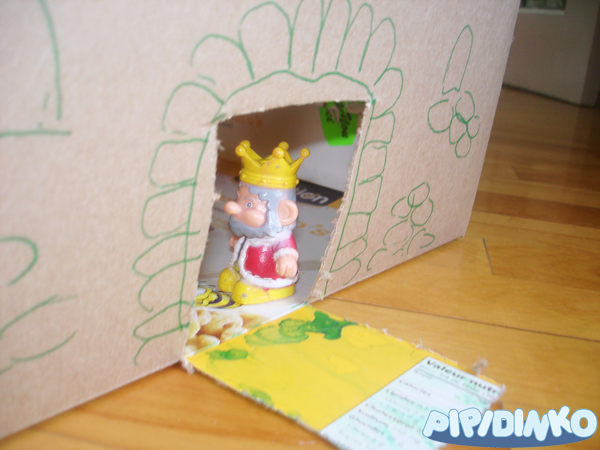 This cardboard castle was made mainly by me. 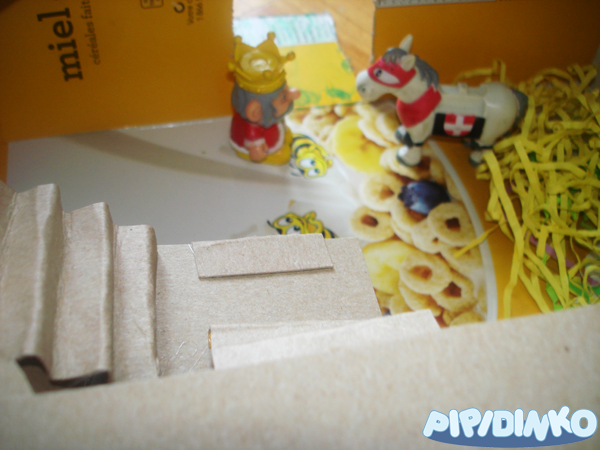 Santino is not coordinated well enough yet to cut cardboard or hot glue the pieces. And its not like he doesn't have a castle to play with; he does. 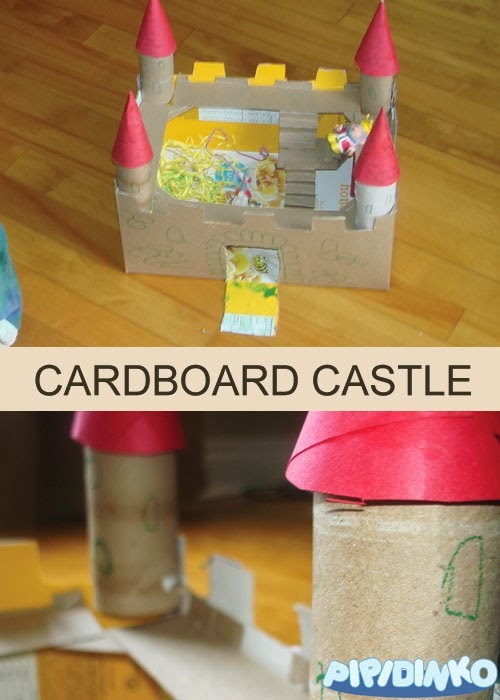 I made this castle because I was inspired by a nice cardboard box, and because I want to instill in Santino's mind, that you can make beautiful and fun pieces with the simple materials on hand and you don't have to buy everything. I often keep the toilet tissue and paper towels rolls for projects like this one, but discard large cardboard boxes, just because I don't have much room to store them. This time instead of throwing the box out, I decided to make something out of it. I googled and pinterested some ideas, and decided that I will make a castle. I saw a similar project once on TV. So, I took the box apart, then hot glued it back together inside out, for solid color on the outside. 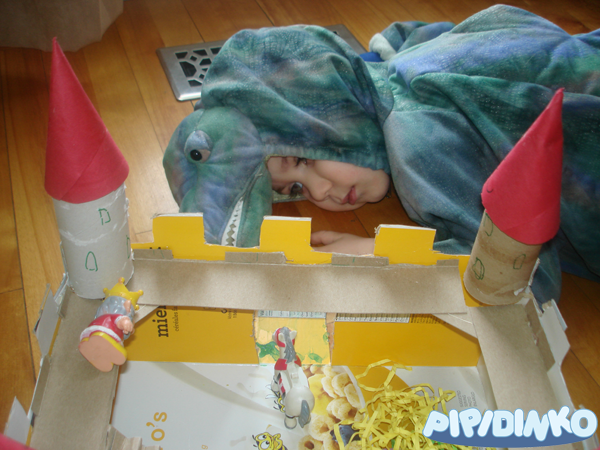 I then cut out the battlements and installed the towers. 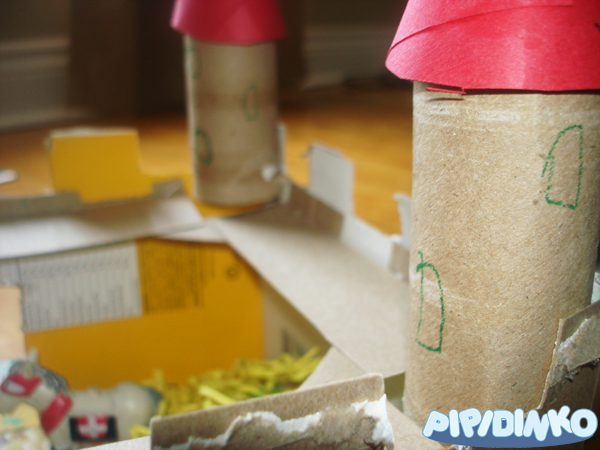 I made the towers with the toilet tissue rolls, topped with the construction paper, rolled into cones and glued on the top. I roughly sketched the stones and windows with a marker and cut out the gates. Later I got an idea to decorate the inside. 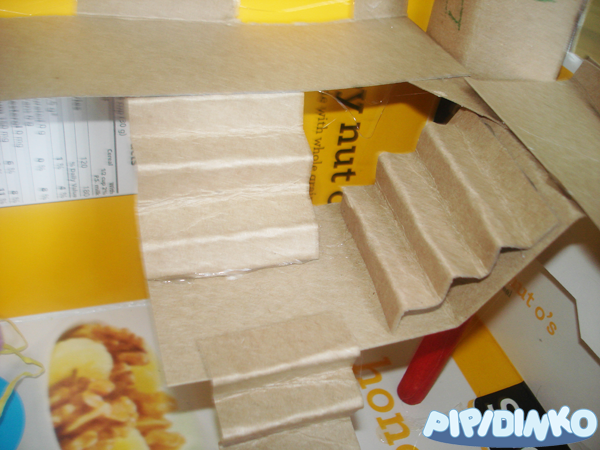 I cut out and glued the walkways and even stairs, supported by a dowel. 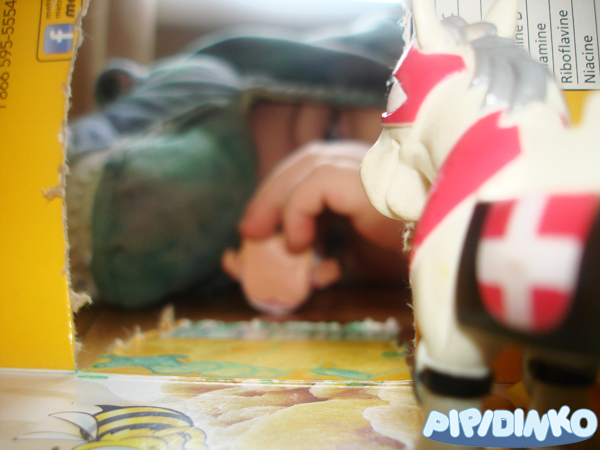 Then I added a king and a horse. 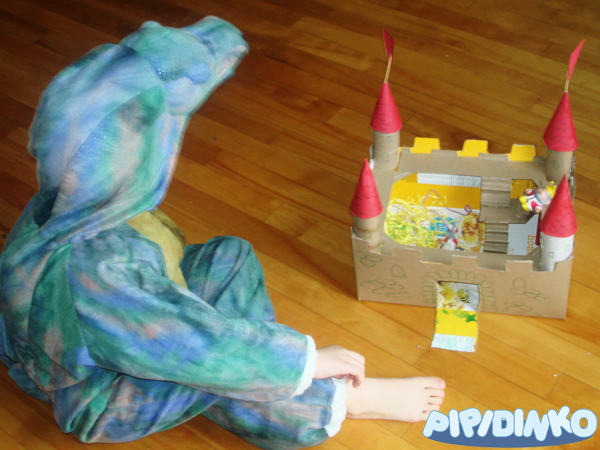 I really need a princess, I think, as I have a huge dragon, hovering around the walls of my castle. 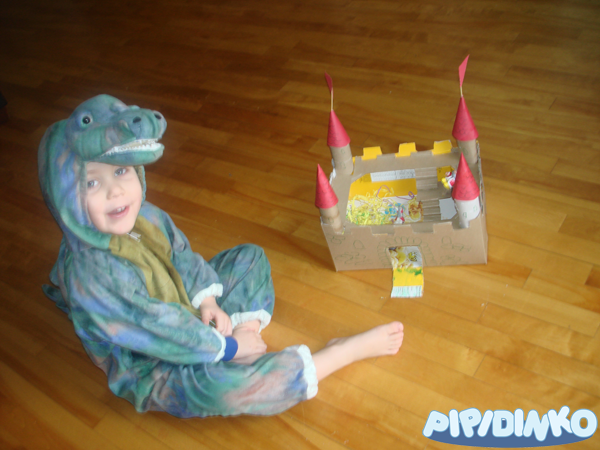 Our dinosaur obsession started shifting a little bit towards dragons (not without my help). I have shown Santino "How to train your dragon" movie, it became his favorite in the past weeks. We also watched Shrek, and Santino's favorite part is the first one, with the castle and the dragon. So, I am hoping, that dinosaurs, who are still fully present in our lives, will slowly but surely retire... ummm... by summer? Is it so selfish of me to get tired of my son's preference and manipulate him into liking something else?